Means: Hello. My name is Vladimir. Это мой друг Сергей. Он – музыкант. This is my friend Sergei. He is a musician. А это моя подруга Наташа. Она – студентка. This is my friend Natasha. She is a student. Джон – американец. A Катя – англичанка. John is an American, whereas Katya is an Englishwoman. Mark, is this your dad? And this is your mom? Yes. She is a doctor. Мой папа – австралиец, а моя мама – американка. My dad is an Australian, whereas my mom is an American. Есть паста и салат и суп. There is pasta and salad and soup. Хорошо. Я буду пасту, пожалуйста. Ok. I’ll have pasta, please. А что ты хочешь, Наташа? And what do you want, Natasha? In this next one, there’s a word that’s new to these podcasts. The word is ИЛИ. Can you figure out what it means? Что ты хочешь? Пиццу или суши? That means: What do you want? Pizza or sushi? Just a few, like that. See if you can rattle off five really quickly. That’s just a good habit to get into when you’re listening to a lot of Russian. Hit pause after a particular phrase and treat it as a construction. Это мой друг Глэн. Он – бизнесмен. This is my friend, Glenn. He is a businessman. Это моя подруга Джэнифер. Она – австралийка. This is my friend Jennifer. She’s Australian. Хочешь йогурт или маффин или блины? Want yogurt or a muffin or crepes? No, thanks. I don’t want to eat. Хмм…икру? Нет, спасибо. Не хочу. Hmm…caviar? No thanks. I don’t want. So, how’d you do with all these? If you got most or all, then you’re doing great. This episode was kind of a mid-term, so we’re getting out of class early today. But today’s exercises are longer. What I did for the download exercises was take today’s translation practice and flip it around. So, for homework, you need to say each of today’s phrases in Russian. So be sure to download those, and I’ll see you in the next episode. Hi Mark, I’ve been taking these lessons for a month or so, I’ve been kind of busy, so I take a lesson, practice it, then the next day, do the same lesson in review, then do the next. I’m dealing with two puppies at six months, and running a machine shop, so I get time when I can, and “two steps forward, one back” has been working very well for me. Your format is well considered, and follows a logical pattern, so it come like natural. Thanks for putting this up and the follow up. Hi Mark. I’m an English Language Teacher from Turkey. You are following a very effective teaching and learning method. I also apply same principles in my class. This method makes people love learning a foreing language in my opinion. Now, I can build Russian sentences while the record is building in English. I also suggest to learners a subconsious approach. After taking lessons from here, you can study while you are sleeping. It is a very effective backup after learning. Sorry about grammatical mistakes. It is a shame. I am using Turkish keyboard. I forget checking. I’m from Sweden and I’m trying to learn Russian, I want to say that I think you have a Great teaching technic! I think it’s interesting to learn. But so hard to remember all new words. Don’t put too much pressure on yourself. It’s okay to forget. Normal, even. 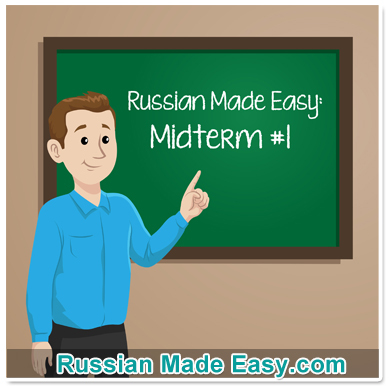 either **all** the Russian words you know, or the most recent 100 you learned. sometimes it takes time to recall. Hi mark! I really enjoy these podcasts, I can really see the progress from one to the next. You encourage us to write words down to remember them. In my experience, I barely ever write in English, I mostly type. So I taught myself to touch-type in Cyrillic and use that as my writing practice. Do you think that is as effective? 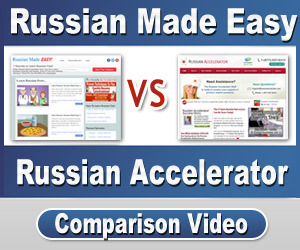 Thanks again for joining Russian Accelerator. I was just answering your podcast question. the idea that writing by hand, on paper, is superior. Kinesthetic memory. Thanks again for joining, and please dont hesitate with any questions along the way.